Shift your pre-event publicity campaign into high gear! 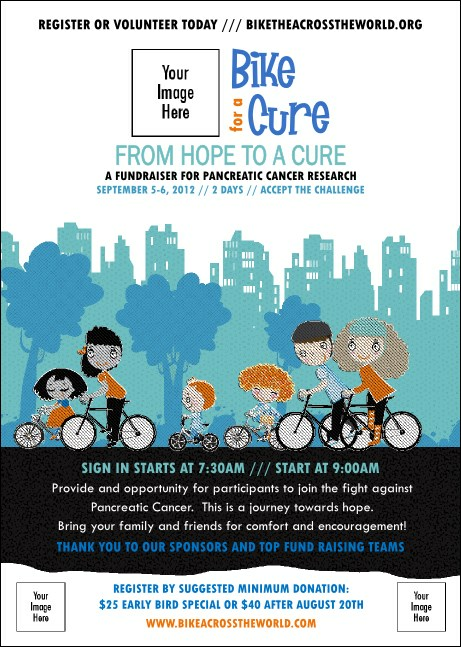 You can really get things moving when you send out these Bike for a Cause Club Flyers in advance of your upcoming event. Add one large and two small logos or sponsor images and help ticket sales pick up speed while you cruise toward your fundraising goals.